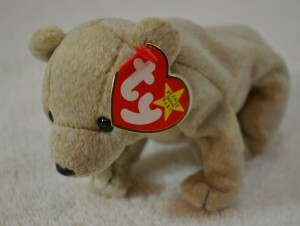 Notes: These were made during the height of the Beanie Babies craze in the United States. There are literally hundreds of these listed for sale on eBay at any given time. Very few sell for anymore then a few dollars or so. Some will list Almond as a Dog, but it is in fact a Bear.